The Sanctuary’s membership class. It is a great way to learn more about the direction and purpose of your church. In this fast-paced course, we will cover the basics of salvation, our beliefs, our mission and the unique vision of The Sanctuary Church. After the class you will have the opportunity to join different ministries of TSC or to wait and decide at another time. There will be no pressure whatsoever, we want you to be comfortable with your walk with Christ. 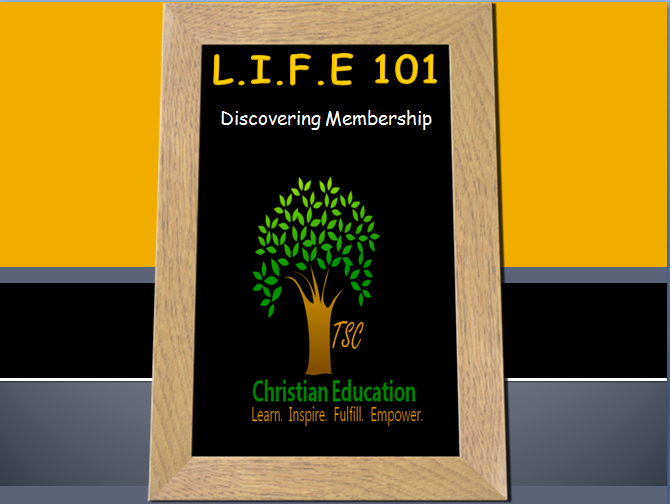 If you do decide to participate in the L.I.F.E. 101 class, you can email tscforyou@gmail.com for questions regarding registration.